My wife used to work in a high-end restaurant in Pentwater, Michigan. She loved working in the kitchen and creating culinary magic. While watching another movie, her eyes lit up with joy when she saw the previews for Burnt, the new Bradley Cooper movie. Burnt is about a two-star Michelin rockstar with the bad habits to match, the former enfant terrible of the Paris restaurant scene did everything different every time out, and only ever cared about the thrill of creating explosions of taste. The thought of seeing the roles of those in the kitchen played out on the big screen thrilled my wife. She was beyond stoked to see Burnt. So, we decided to make it a date day and catch the movie early Saturday. Adam, Bradley Cooper’s character in Burnt, loved to try out explosive new dishes. He wanted to create a new masterpiece dish every time he cooked. Are you willing to try new things as you lead? Trying leads to us to places we never thought we could go. Give something new a try today. We must accept correction: Adam was a wildman. He spent his nights the wrong ways.He’d sleep around. He’d do drugs. He’d destroy people.We know these things aren’t right. Adam finally came to the same conclusion and left Paris in an effort to correct his path and punish himself. He took off and went to Louisianna. There, he put himself to work shucking oysters for years until he felt he paid the price. How many leaders are willing to do the same? To admit they have a problem and choose a punishment? I can tell you: Not many. When you’re in the wrong, be willing to pay the price for your mistakes. Take the punishment like a man and move on. This quote is both truth and fallacy in the same breath. Consistency is death if we’re unwilling to improve. By staying stagnant, you’re going to be passed by. Always be improving. Yet, there’s good that comes with consistency. People are able to rely on you. People know what to expect. People are more willing to follow consistent. Be willing to be consistent and non-consistent where you need to be. 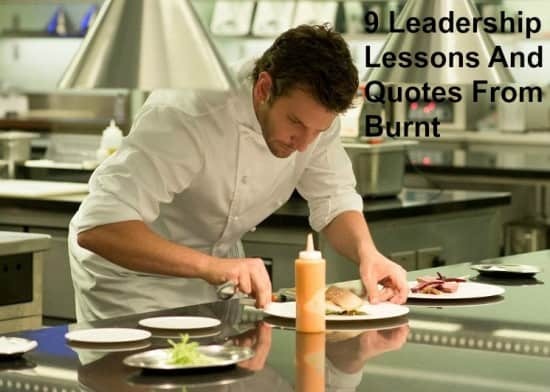 Constantly evaluate: If you pay close attention to Adam and the other characters in Burnt, you notice they’re constantly evaluating the food they’re preparing. A dip of the finger into the sauce, a bite of the freshly prepared fish, a swig of the wine.These chefs were testing everything they were doing. They wanted to know whether or not it would pass the test.Leaders need to be doing the same thing. Leaders need to be evaluating whether or not what they’re doing is working. Look for ways to test if what you’re doing is effective. Set up tools to measure the impact of your work. You can’t tell whether or not you’re advancing if you have no way of evaluating. As Adam is preparing a new drink, he asks the maître d’, Tony, how it tastes. When Tony replies “Good..”, Adam flies off the handle. He tells Tony that “Good means nothing.” And this movie made me agree. Now, he’s not saying being good means nothing. He meant that using the word Good to describe how something tastes or how someone does work means nothing. There’s no description behind the word. When communicating, use words that have meaning. Describe what happened or how things felt. Use details! What happens when you get your third star? Dr. Rosshilde, played by the great Emma Thompson, pops this fantastic question to Adam. He’s pursuing the vaunted third star on his restaurant. He wants to make it big time. But the good old doctor raised an important question: What happens afterward? We get so caught up in the goal that we forget there’s more to life. Life will continue long after we reach our goals. Do you know what you want to do after reaching that point in your life? It’s a great question to ask yourself. It’s amazing that we survive the lives we live: The life of a chef, or restaurant worker, is brutal. The hours are long. The relationships are strained. The stress is high.After Adam breaks down and winds up in Reece’s, who already has a 3rd star, kitchen, they discuss their lives. They reminisce about the time they spent in Jean Luc’s kitchen, learning the trade.Their lives were hectic. They spent most of their days in the kitchen only to go out to the club after closing up. With little sleep, they went back to the kitchen in the morning. Looking back, they wondered how they survived. Isn’t this a lot like leadership? We put in long hours, we build relationships, we wear ourselves out (even though we shouldn’t). We live lives that put our bodies and minds to the test. Be mindful of this and make time for the important things. There’s strength in needing others, not weakness. Adam thought he didn’t need anyone to have a great restaurant. He could bark orders and make others do what he needed. If they didn’t do what he demanded, he could replace them. Even after Dr. Rosshilde gave him this advice, he pushed back against it. He thought he could be a one-man army. He was wrong. 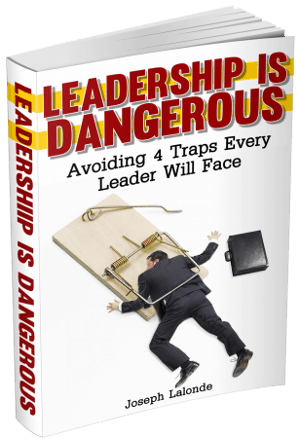 As are leaders who have the Lone Ranger syndrome. To be truly effective, we have to rely on others. They have strengths we don’t have. That’s why we brought them on board, right? Invite others into the fold. Build partnerships that use everyone’s strengths. Leading in your own way inspires others to become better: Adam, Reece, and other chefs battled to become known as the best chef in Paris. Adam thought by winning he would destroy others.Yet, Reece tells Adam that when he is at his best, it’s inspiring.Reece is challenged by the exquisite food Adam produces. It makes him want to be better. When you lead properly, you inspire others. Others see you doing great work and they want to do better work. Do great work, inspire others. Pam truly enjoyed Burnt. With her background in the kitchen, she said the movie accurately portrayed the life of a chef. Unfortunately, life as a chef can be pretty ugly. The language used by chefs and how they treat those under them can be brutal. That’s why Burnt received an R rating. Does this make Burnt a bad movie? Not at all. I enjoyed watching the behind-the-scenes action of the kitchen and hearing my wife talk about how realistic it was to her experience. Be warned though, the language is coarse and there are a few objectionable scenes. Question: Have you seen Burnt? If so, what leadership lessons did you find in the movie? If not, what was your favorite from my list? Let’s talk about this in the comment section below.